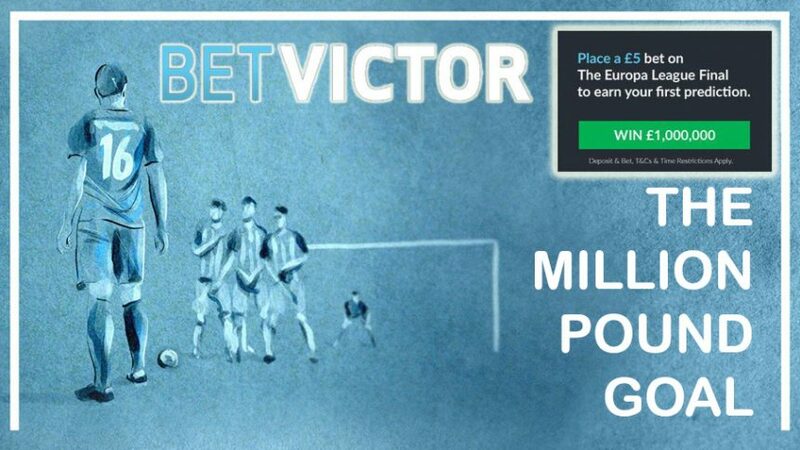 You are here: Home / Accumulator Bonuses / Mobile Bonuses / Parlay Bonuses / Soccer Betting Promotions / Sportsbook Bonuses / Sportsbook Promotions / Join BetVictor’s Million Pound Goal Offer to Win £1,000,000! 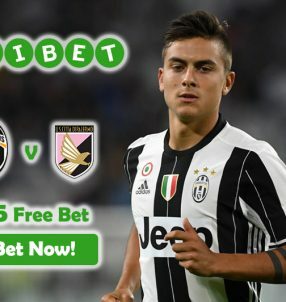 Join BetVictor’s Million Pound Goal Offer to Win £1,000,000! Restricted Countries Romania, Hungary, Bulgaria, Latvia, Czech Republic, Lithuania, Ukraine, Croatia, Estonia, Poland, Portugal and Nigeria. Win a staggering £1,000,000 on the final match of the Euros with the Million Pound Goal Offer at online sportsbook BetVictor. There’s £1,000,000 up for grabs this summer with BetVictor’s Million Pound Goal Offer! To qualify for the exciting promo, all you have to do is predict the First Goal Scorer in the Final Match of Euro 2016, and the minute that goal is scored. It’s that simple! To get your Euro 2016 predictions, just make a £5 bet on any Euro 2016 match and you can enter the competition for the Million Pound Goal Offer! 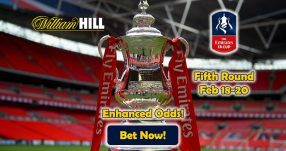 To qualify for more predictions, you can also bet £5 on the following markets: Tournament Winner, Top Goal Scorer market and selected Cup Final matches to get your predictions. 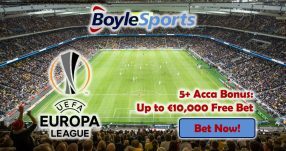 When the finalists for Euro 2016 are known, then you can make predictions for the Final Match to win a whopping £1,000,000 with the online sportsbook. For a mere £5 bet you can scoop 200,000 times that amount with the Million Pound Goal Offer. 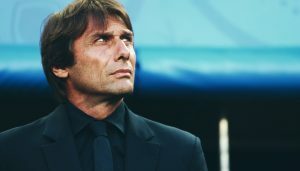 You can qualify for the competition by betting £5 on all the biggest European Cup Finals: English FA Cup Final, DFB German Cup Final, Europa League Final and the Champions League Final. This will grant you predictions for the Final Match of Euro 2016! Defending champions Spain are right behind them 6.5 (11/2), while England are fourth favourites 9.00 (8/1) to win Euro 2016 – mainly thanks to their all-winning qualifying campaign for the tournament. Bet on Euro 2016 Final Match to win £1,000,000 with the Million Pound Goal Offer! Join the Million Pound Goal Offer to win £1,000,000 now!